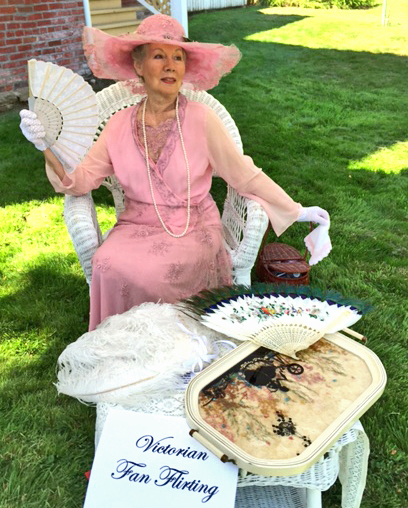 Photo Gallery – Victorian Etiquette | Historic Jacksonville, Inc.
Sharon Becker demonstrates Victorian fan flirting. 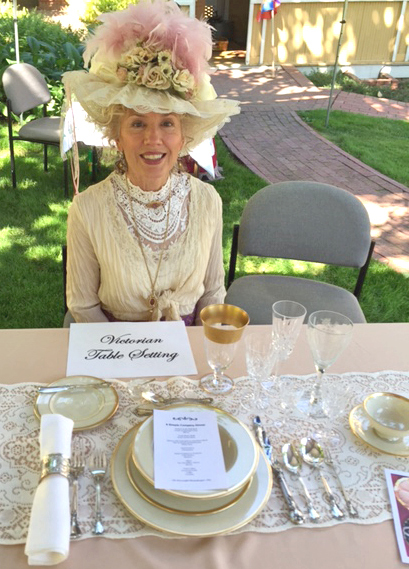 Theresa Schumacher shares formal table setting and Victorian manners. 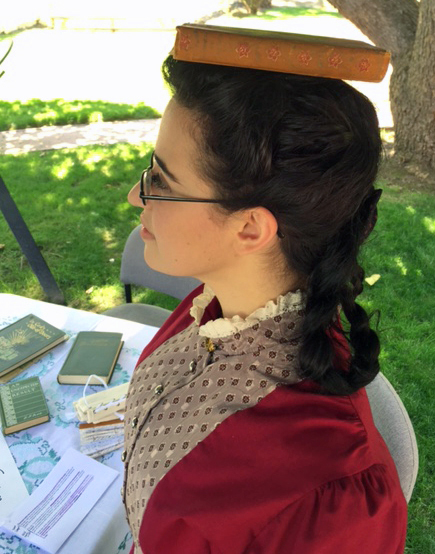 Gillian Frederick demonstrates proper posture. 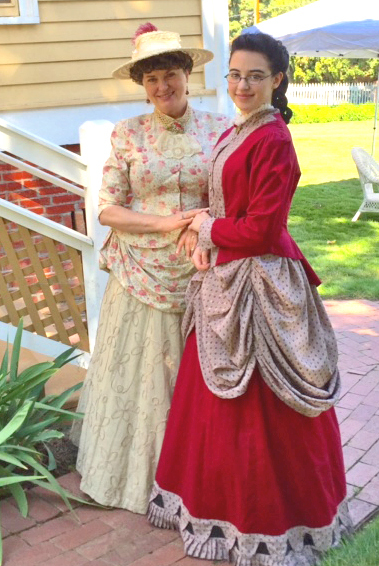 Ann Wilton and Gillian Frederick welcome guests to lawn activities. 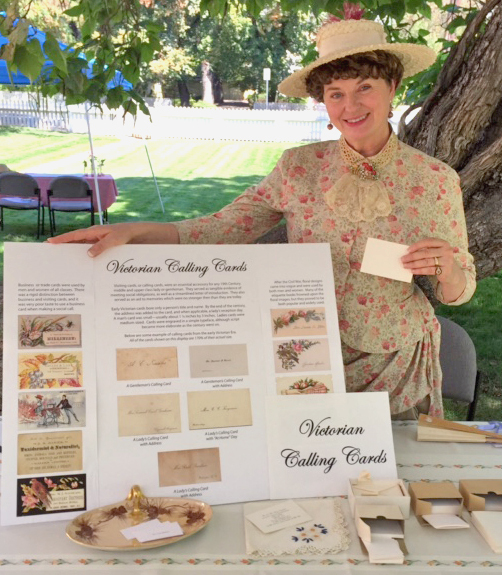 Ann Wilton displays Victorian calling cards.